The hedge fund industry assets will reach a new all-time high in 2015 and social media and fintech (finance and technology) will play a bigger part on that. Social media is taking its part in the life of the industry with LinkedIn and Twitter playing a bigger part. Special Technology and anything related with cyber-security are touching all areas of business special the hedge fund serving ecosystem, disrupting it in one hand, but opening big opportunities in another. If you look in particular how algorithmic trading is part of investor strategies and insights you will understand how this has overtaken the full industry. As Hedge Fund client strategies continue to progress with their conventional approach, even this approach needs sophisticated tech to manage it. Whether trading with Long/Short Value, Market Neutral, Event Driven, Global Macro, Fixed Income Arbitrage, Quantitative/Statistical Arbitrage, and Convertible Arbitrage, hedge funds are using technology tools, dashboards and software. the same goes with the increasing use of social media for discussing, researching and promoting hedge fund trends, issues the industry faces and other opinions. “The use of social media by hedge fund managers, investors and service providers continues to expand at an accelerating rate. Social media is being used for research, to build stronger relationships and to help promote a firm’s brands in the marketplace. Nevertheless perhaps the biggest change that online trading technology has brought about is to open up and somehow democratise access to the markets, allowing individuals to make their own trades without the costs and time lag that were associated with the old way of doing this. This is more substandtial for startup hedge funds and for seeding funds. But on here a reality check is required as most of the hedge fund industry big money is managed only by the top 200 top players…The financial services industry has been visibly transformed by software and related technologyes since the 1070s but over the last 30 years has advanced to a much bigger level of sophistications. Practically every financial and special trading transaction, from someone buying a cup of coffee to someone trading a trillion dollars of credit default derivatives, is done using multi asset trading dashboards. And many of the leading innovators in financial services are software companies. This happens in particular to the hedge fund industry. 2014 was a particular disruptive year as computer algorithm-led investing firms produced stellar returns. This happens as algorithm and tech are beating human managers and convential trading and hedge funds are recruiting entire teams of computing scientists to co-manage their investor strategies and insights. That is the case of managed futures funds, which trade the futures contracts of stocks, bonds, currencies and commodities have gained an average of 15.2 percent in 2014. Societe Generale unit Newedge states that in a report. This trend and succession of events is beating virtually every other conventional hedge fund strategy, including stock pickers, beat-up bond vultures and macroeconomic strategy. The newest generation of investors is made of do it yourself workers, the first to grow up entirely in the age of digital tools, smart phones and the internet. These new investors don’t view investments as simple stocks and bonds run by conventional Wall Street, the City of London or Switzerland. They are increasingly learning with innovative disruptive new tools and looking at the investment process as a do-it-yourself project using digital tools, social media technology and social networking to invest in ideas, not asset classes.The alternative institutional financial services industry have avoided digital and social media exposure like the plague, fearful of opening a Pandora’s Box of bad publicity and security leaks. However, as the technology has matured and entered the mainstream, the world of finance and so the secretive hedge funds has passed through a phase of reluctantly embracing it to the current stage of actively leveraging it as a legitimate and even crucial tool, special for research and branding. 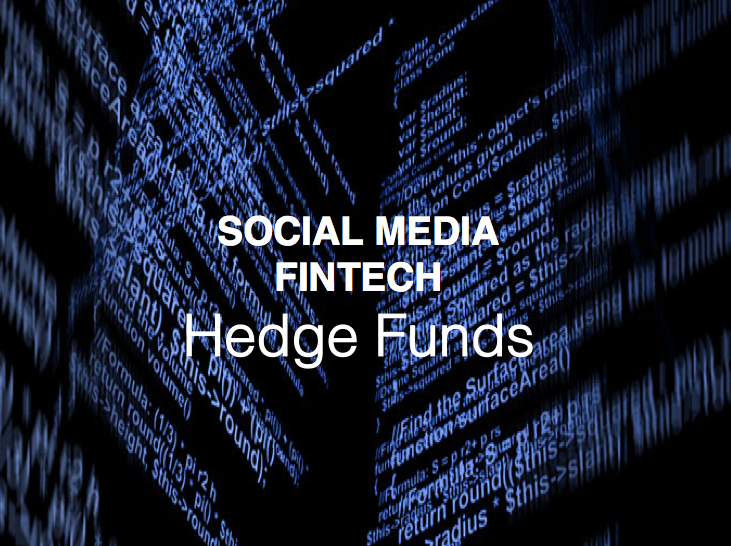 Social media has been used for a variety of purposes across the hedge fund industry. Investors use it to find out what others are saying about hedge funds they are considering investing with. Service providers and hedge funds recognise this, and include it as part of their sales and marketing strategy, as well as using it to research their customer base and find out how they are perceived. Now, a study by Agecroft Partners has identified trends in the increased use of social media by hedge funds to enhance their marketing campaigns. The main network, from a hedge fund perspective, is LinkedIn, used by approximately 90 per cent of the hedge funds that have more than USD100 million in assets under management. This followed, somewhat distantly, by Twitter. The Alternative Investment Industry – a fast changing financial landscape! The alternative investment industry is therefore going through a pick in growth with hedge funds the most outspken and critical player. Self-directed investors and organisations such as funds, hedge funds are reshaping the Financial industry and as this happens they are looking for unconventional alternative investment solutions but conscious of branding, digital, social media and fintech trends and importance. The financial services industry, special institutional investors and hedge funds, still recovering from one of its biggest crashes and now immersed still in a credibility crisis, regulatory tape will need to change how it approaches clients and special investors. Also its product and services need to be focus on creating value in order to remain relevant. Investors are more sophisticated than ever and as they have never been entirely comfortable trusting the conventional Financial industry ripe with conflicts of interest, high fees, new social and tech ways to access markets, and way too many salespeople are looking at other alternatives. Continued growth in compliance, interest in Spitzer investigations/SEC regulations and how to minitor news and regulations. Social media and special Twitter emerging as a real time data source for researching market sentiment. Global 360 degrees approach and increase use and leverage of social media and fintech. Increasing automation of trading and researching repetitive processes: primarily affecting mid- back-office but going through all investors strategy cycle. Sliced Investing offers quick signup, low fees, and small minimum amounts. The investment process is online and automated. HedgeCo Vest is an indirect approach to replicating hedge fund investing. Through mirror trading, investors can really reduce fees, reduce amounts invested (at least for liquid assets) in a DIY fashion. Tashtego, a conventional hedge fund, tackles even less directly the issue, but also using a social trading process. They are creating a Social Equity fund that uses social media info to algorithmically create a hedge fund. DarcMatter provides transparent, institutional-level access to alternative investment opportunities. They feature a full range of alternatives, including venture capital, private equity, hedge funds, and fixed-income products. Their minimum is as low as 25k. 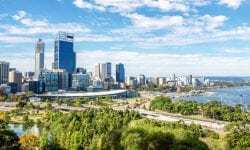 They are also present in the capital raising process. Aspiration has a min of ONLY $500 and low fees for their The Aspiration Flagship mutual fund which pursues hedge-fund-like strategies including arbitrage and long/short trading. Silver Pepper with a moto “hedge funds for the rest of us” offers a min as low as $5k, a 2% flat fee, daily liquidity (after 90days), and transparency. For now, they offer a macro fund and an arbitrage fund. Artivest is an online fundraising platform for Private Equity and hedge funds. Edgefolio is a Norwegian cap intro platform with a hedge fund data API offering also. ALTX is a cloud-based product of Imatchative; it is a proprietary algorithm that uses a behavioral finance methodology to optimize the search for compatibility among hedge funds and institutional investors. Hedge Force has already a worldwide presence, as a third party marketing company (since 2007) that serves the entire alternative sector. BHA, based in Boston also since 2007, uses a networking approach for matching sophisticated investors with alternative solutions. Hedge Analytics, a Swiss based analytics firm focused on risk mgt. HedgeHogs leverages social media, collaborative networks for trading idea development, sharing of analytics, and data. Risk_AI is a cloud based solution platform for hedge fund risk analysis and reporting, with an award winning mobile technology. Liquid offers also a complete cloud based solution for portfolio mgt, risk analytics, back office and compliance.